Planning Commission Meeting - Cancelled due to lack of agenda items. The Planning Commission meets the second Tuesday of each month at 5:30 pm, however, meetings are sometimes cancelled if there are no agenda items. Please contact 616.940.4817 prior to each meeting to verify a meeting is being held. In 2018, the Planning Commission will be updating the comprehensive master plan, with the first public input sessions at each meeting. 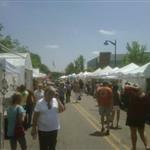 Residents, business owners and employees can ask questions, make suggestions and voice concerns. The public is encouraged to attend. 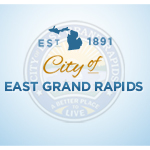 The East Grand Rapids Parks and Recreation Commission meeting scheduled for Tuesday, November 13, 2018 has been canceled due to lack of agenda items. Please call 616-949-1750 with any questions.